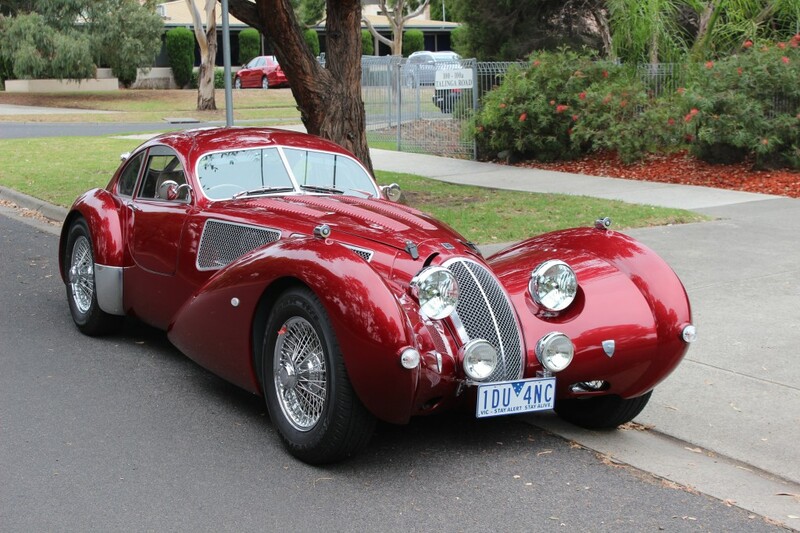 The Devaux is a French Car made in Australia. At first glance, anyone who knows about the country’s automotive design language will tell you it’s a French car from the 1930’s. Only to discover it’s built in Australia by an Aussie man. 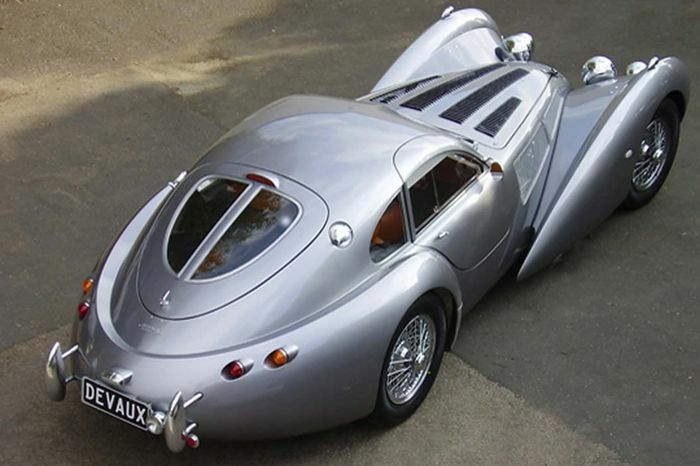 The company started out in 2001 building their first production car, the ‘Coupe’. 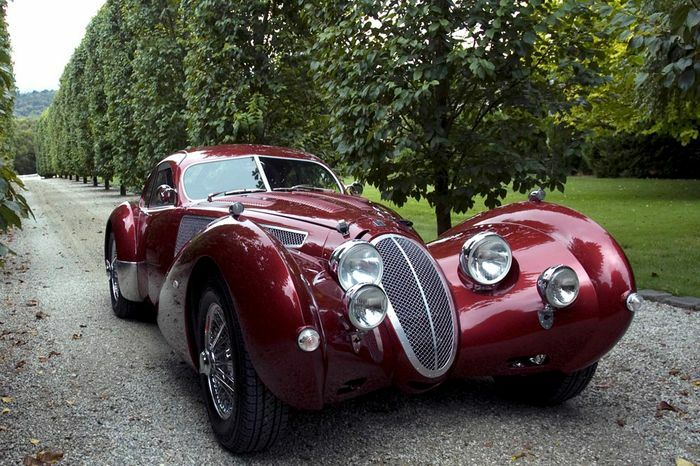 Named after the company’s founder’s mother’s maiden name (French ancestors) and inspired by the cars from the 1930’s, it beautifully reflects the extreme French curves of the era done by the coach builders from France and other cars from the same era such as the Bugatti 57 SC Atlantic, the Alfa Romeo 8C 2900 B Lungo and the Bentley 41.4 litre Streamline. From the narrow front grille, the swooping front fender, the long bonnet, the big round externally mounted headlights and the narrow pram wheels with multi wire spoke rims, it very much looks like a French car from the 30’s. David Clash (CEO and founder) started working on the Devaux since his teenage years. 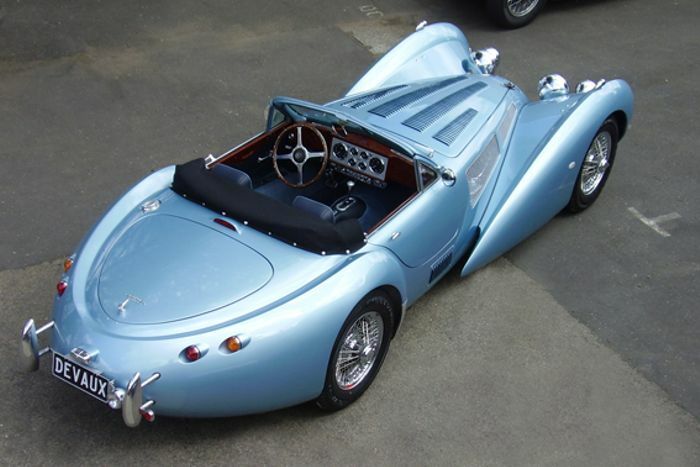 The original prototype was taken from an existing vehicle sub-frame and built on it. Later, it was built from the ground up as a production variant. Even the interior is lovely place to be. 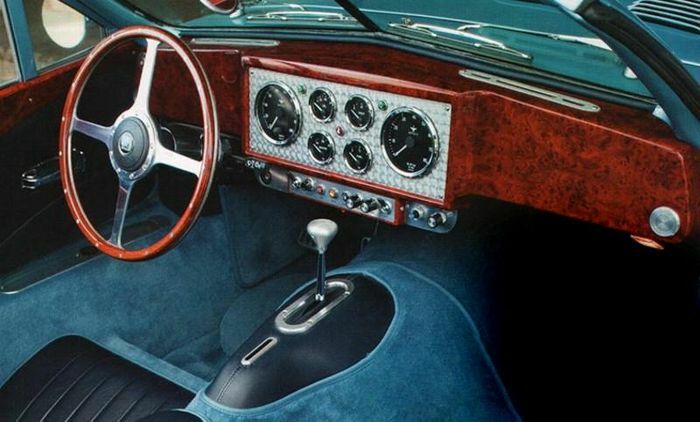 An elegant cockpit including comfortable Muirhead Aviation leather seats, simple with the traditional circular gauges on the dash clustered in Aluminium and the large 4 spoke steering wheel also finished in Aluminium with wooden trim around them with all the auxiliary functions on the lower edge of the dash give it the very period appeal all inside a fiberglass bodywork. 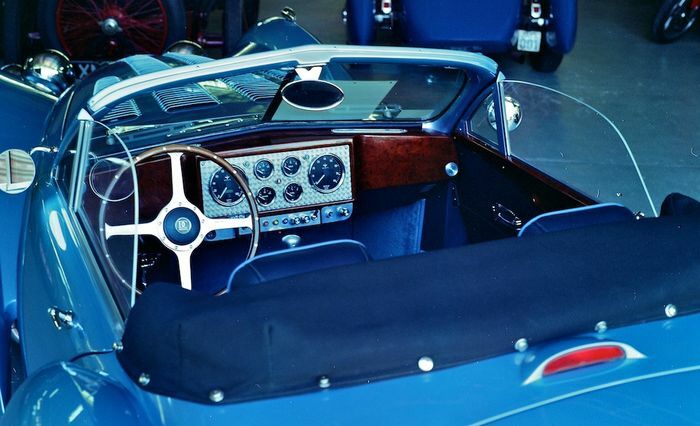 The Devaux has two options for the power units under the leather strapped bonnet. Either an 3.4L inline-6 featured in the Jaguar XR6 or an LS1 5.7L N/A V8 with 361 bhp and 470 Nm of torque. But I’d rather go for an inline-6 since the LS V8 in a retro car feels out of place. 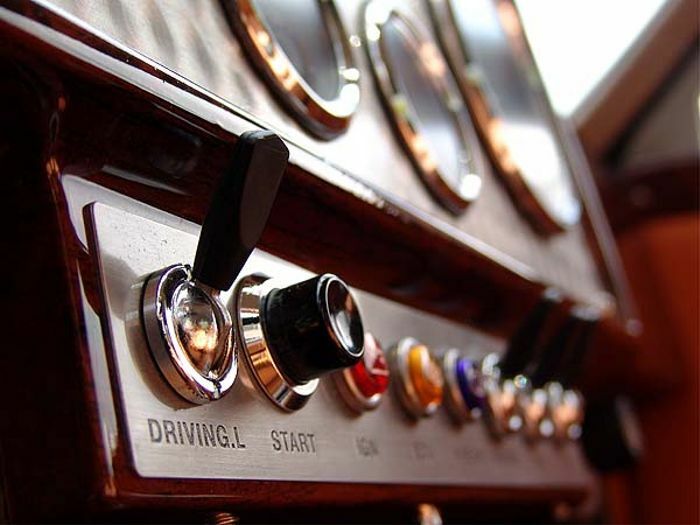 This power is send to the differential at the back via an 4-speed automatic gearbox which makes it underrated as most transmissions back in 30’s were mostly 3 or 4-speed. Although a manual transmission would sound more edible. The Devaux sits on fully adjustable stainless steel double wishbone on the front while the rear sits on live axle with 4 bar links Panard rod both on coil over dampers. Brakes are 300mm all round disk. You have probably guessed it by now just by looking at it’s extreme dimensions, it’s very long and low. At 4800mm long, 1612mm wide and just a height of 1230mm, it certainly is as long as a Land Rover Range Rover but weighs at just 1125 kg. The Devaux costs around $200,000 AUD mark. But if you’re not satisfied with the coupe, there is the Sypder which offers the same level of comfort with a retractable leather roof introduced later around 2010. With just 4 cars being produced per year, it certainly is very exclusive and rare. I’d definitely would love to own the Spyder if I had that sum of money. So is $200,000 for a car that’s just inspired by other cars from the history worth? Well, if you have watched one of Mr. Regular videos, he’ll tell you about the simulation and the simulacra. A car which simulates the original thing at a fraction of the cost is a simulation. But a car simulating based on something which doesn’t exists, is a simulacra. And that’s what the Devaux cars do, they are simulacra. 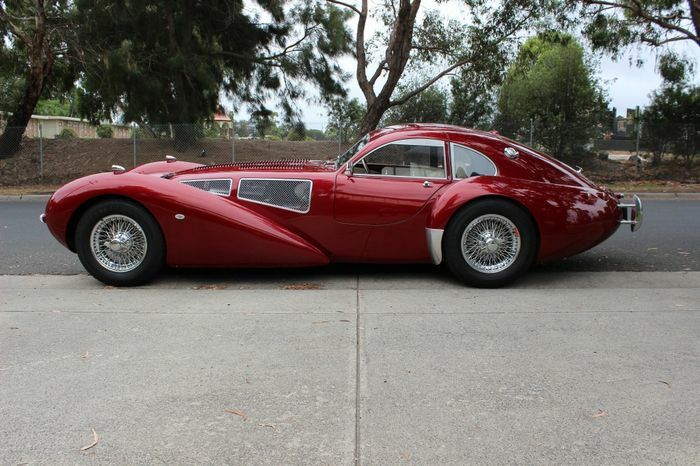 It’s like a tribute to some of the most extreme curvaceous design era in automotive history. And for that reason, I think the price is just right and I would love to experience it.